Get Distribution articles, news and videos right in your inbox! Sign up now. After hitting a 50-year low in 2017, water use in Madison, Wisconsin, was down once again in 2018. Madison Water Utility pumped 9.2 billion gallons of water to homes and businesses across the city last year — about 200 million gallons less than the year before — and more than a billion gallons less than the utility pumped in 2012. It marks the fourth consecutive year water use has been below 10 billion gallons, even though Madison’s population is growing. Per-capita water use for customers living in single-family homes has dropped to the lowest level in at least the last 20 years. Residential customers used 53 gallons per-person per day in 2018. Back in 1988, that number was 80 gallons per person. The drop in per-capita water use means the city has hit its water conservation and sustainability goal set in 2006 that called for a 20 percent reduction in per-capita residential water use by 2020, based on a five-year rolling average. DeMorett says another wet summer in 2018 meant fewer people were out watering lawns and gardens. He also points to more efficient appliances and plumbing fixtures, as well as a sharp decline in industrial water use. Industrial water use in Madison is down 73 percent from just seven years ago. Both Oscar Mayer and Bimbo Bakeries, two national food companies, have left Madison in recent years. Madison’s last remaining dairy operation closed its doors in 2009. 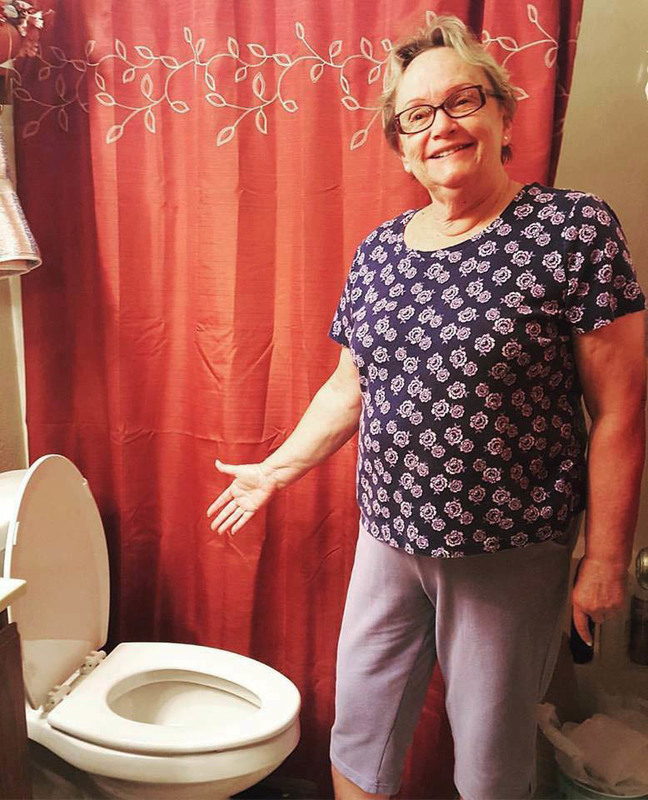 Madison Water Utility has also worked hard to encourage conservation through its popular Toilet Rebate Program, which has saved nearly a billion gallons of water since 2009. And more than 12,000 people have signed up to use the utility’s online conservation tool that allows customers to track their weekly, daily and even hourly water use. Piper admits that it can seem counterintuitive for an organization that is completely funded by water sales to encourage customers to use less. The drop in water use is already having a positive impact on the health of the Madison aquifer system, a massive sandstone formation that sits below the city. “We used to pump some wells 24 hours a day and have huge draw downs, areas at our wells where aquifer levels were low. But because of conservation, we’ve been able to spread pumping out and use our wells more equally,” DeMorett says. DeMorett has seen higher water levels in the aquifer beneath the city’s wells now that the utility is able to distribute pumping more evenly. 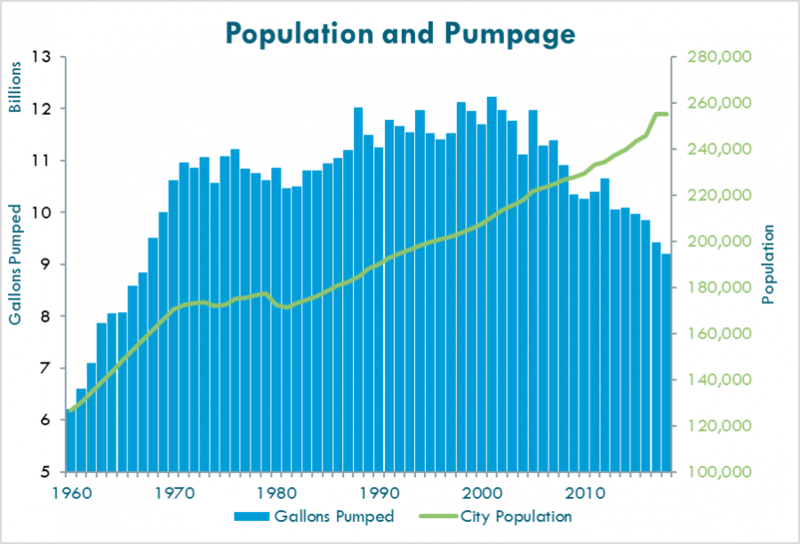 Those higher levels mean pumps are using less energy to pull water from the ground. So far in 2019, water use in Madison is down 7 percent from this time last year, according to DeMorett. That means the city could be on track to use even less water this year, depending on summertime rainfall. Expert Q&A: What is the Biottta Treatment Process?